Since this Futuro has been relocated to Witten, Germany the next time Google Maps satellite data is updated the Futuro will no longer be visible in "live" Google Maps. 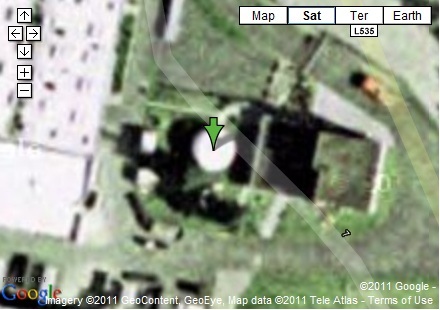 The image below is a screen shot of the Futuro as it appeared in Google Maps on 091711 [satellite imagery date 091306]. It should still be possible to look at the earlier satellite imagery in a "live" setting in Google earth which allows the user to switch to earlier imagery dates. The September 2011 issue of Cranes Today Magazine includes an article on the 2010 transport of the Futuro to its current location in Witten. The Futuro was moved by the German Firm August Alborn who received an award from ESTA [the European Association of Abnormal Road Transport and Mobile Cranes] for the move. After considering and subsequently discounting disassembly for road transport and air transport the company settled on moving the Futuro by road in a fully assembled state. This Futuro was owned by the ASV Stübbe Company located in Vlotho, Germany. I have so far been unable to ascertain if it was purchased directly from the manufacturing steam or if there was an intermediate owner/location but the latter seems unlikely since the Futuro had been on the ASV Stübbe campus for around 40 years when it was finally moved to Witten, Germany in 2010. To have been there 40 years would have required that it arrived on campus in 1970 right around the time the Futuro's were being manufactured. "Germany 1970 in retrospect: we have outlived the ?Flower Power? movement and conquered the moon, society is riding a wave of optimism and enjoying an infatuation with technology. It seems anything is possible. Thanks to the invention of plastic, which makes our world more colorful and our lives easier. Against this backdrop, ASV-Stübbe embraces the designs of the Finnish architect, Matti Suuronen: the result is the Futuro home ? 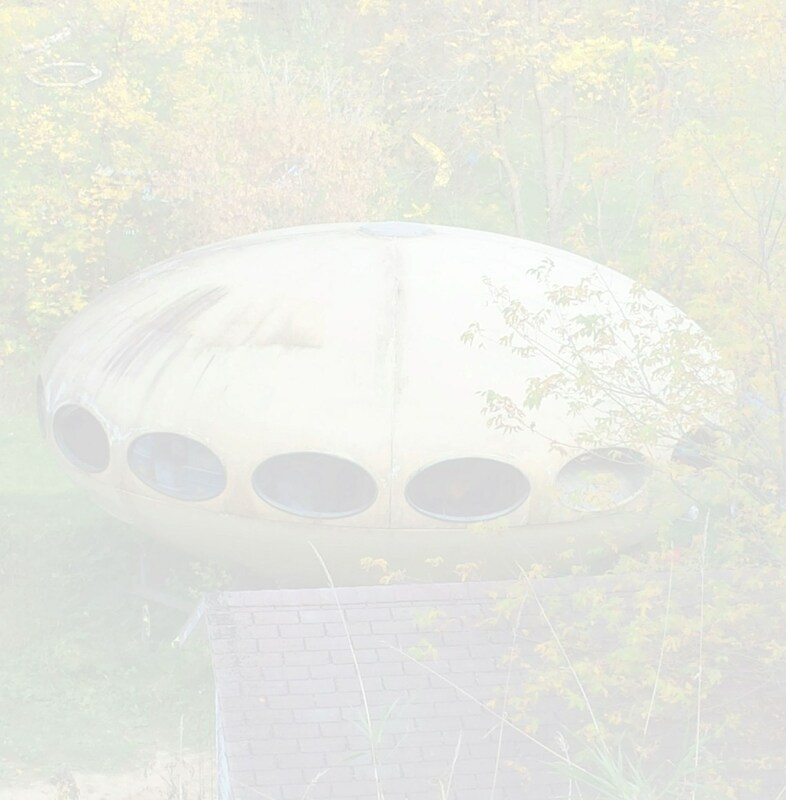 a strangely futuristic, Ufo-shaped, 4 meter high house made of polyester reinforced with fiberglass." In 2010 the Futuro was sold and relocated to Witten where it is a feature of a museum dedicated to the life and works of Futuro aficionado Charles Wilp.